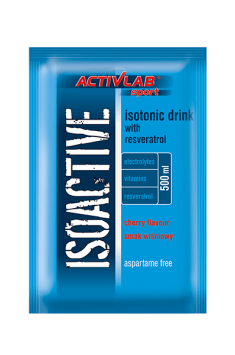 Isotonic drink in powder form. It has been designed for physically active people, but it also works well for manual workers. It can be used instead of ordinary water. According to the manufacturer's recommendation, the preparation is used on a 24-month basis. Just dissolve 1 scoop of powder in water and drink in small sips before physical exercise, during and after the workout. The orange-flavoured version is enriched with caffeine from guarana, which must be noted by people sensitive to caffeine or using highly stimulating pre-workout supplements. White willow bark extract standarized for salicin content. Anti-inflammatory and analgetic effect.